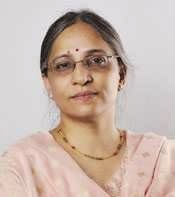 IT major Tata Consultancy Services (TCS) on Thursday appointed Aarthi Subramanian, its global head of Delivery Excellence Group, as an Executive Director on the Board. The appointment is for a three-year period and takes the Board strength to 11, of which six are independent Directors, the city-based company said in a statement. The appointment comes at a time when TCS' nearest rival Infosys has decided to have a lean 10-member board. Subramanian, who has over 25 years of experience in the IT sector, is the global head of Delivery Excellence Group at TCS, responsible for governance of service delivery, compliance and risk management, the statement said. Commenting on the appointment Chief Executive and Managing Director N Chandrasekaran said, "TCS is keen on giving exposure to the functioning of the Board to top talent as part of their leadership development. She will benefit immensely from the exposure to a global set of Directors." Subramanian holds a BTech in computer science from the National Institute Technology, Warangal and a Masters in engineering management from the University of Kansas, US. Media reports earlier this week said Infosys chief Vishal Sikka would continue to have a lean Board with only two executive directors to ensure faster decision-making. The Bengaluru-based software services provider currently has a 10-member Board, with seven independent Directors and just two members - Sikka and Chief Operating Officer Pravin Rao. Infosys had a 15-member board in the past.